The Bright Tangerine Drumstix 19mm Sterling Titanium Support Rod follows in the Bright Tangerine tradition of relentlessly striving for less weight without sacrificing strength and usefulness. This 18"-long support rod is extremely lightweight yet exhibits less flex than carbon fiber rods of the same length, and it is lighter than either steel or aluminum rods while being at least as stiff and strong. Made from titanium the rod is corrosion resistant, and it is machined and ground flat to prevent binding as you mount accessories. 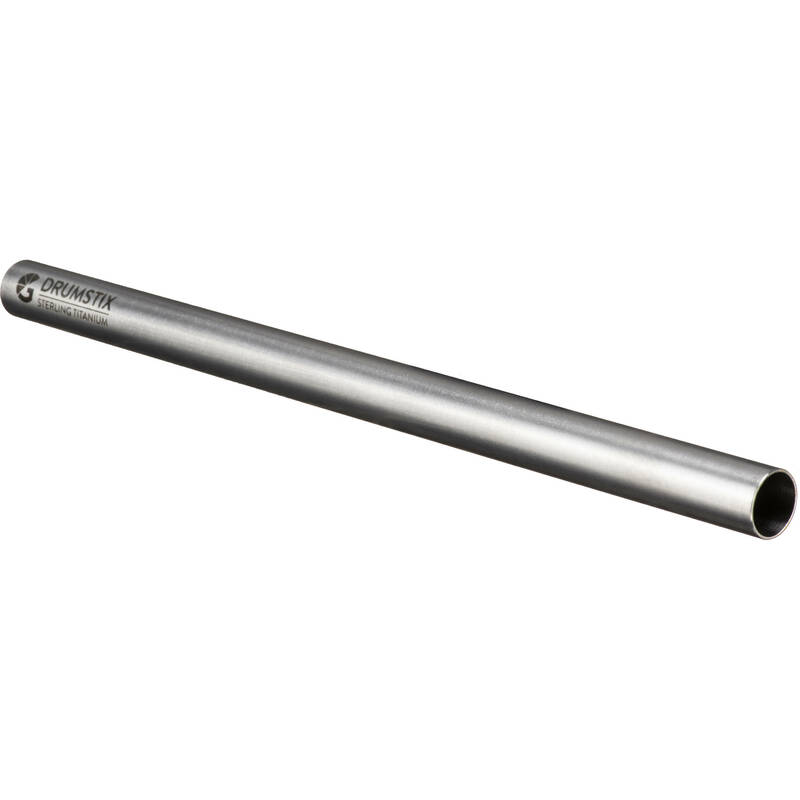 Each titanium rod is machined and ground flat to within a tolerance of 2 microns, which prevents accessories from binding when sliding on the rod. The strength, hardness, and machining tolerances of the rod eliminate the need for the time-honored tradition of spinning the support rod in the rod clamp when trying to build the camera package. Each rod is extremely lightweight, making it well suited for use with drones or in handheld configurations. The stiffness of each rod means you can confidently use it to support heavy lenses and matte boxes loaded with filters without worrying about the rod flexing. Box Dimensions (LxWxH) 19.0 x 2.6 x 1.0"